Shortest and fastest version of the Kangaroo Route in its 70 year history. First direct link between Australia and Europe, using WA as a hub. Qantas Dreamliner designed to offer improved comfort on long haul flights. Qantas is set to add to its list of aviation firsts, with the national carrier confirming it will operate non-stop flights from Perth to London using the 787-9 Dreamliner. The 14,498 kilometre service will be the first regular passenger service to directly link Australia with Europe when it begins in March 2018. Qantas Group CEO Alan Joyce said the history-making route would be a watershed for travel, tourism and trade. “When Qantas created the Kangaroo Route to London in 1947, it took four days and nine stops. Now it will take just 17 hours from Perth non-stop. Mr Joyce said passenger comfort on the long flight was a key consideration. “When we designed the interior of our 787s, we wanted to make sure passengers would be comfortable on the extended missions the aircraft was capable of. “That’s why we have features in our Economy seats that other airlines reserve for Premium Economy. Our Business Suite has been nicknamed ‘mini First class’ by many of our frequent flyers. And we’re redesigning our on-board service to help reduce jetlag,” he added. 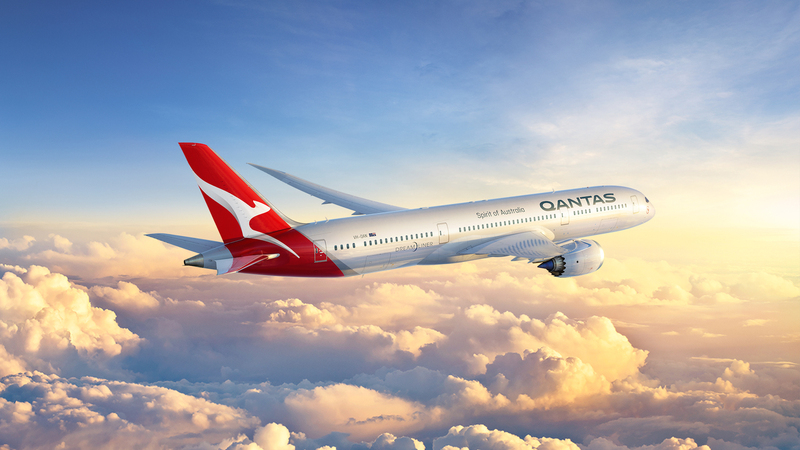 The enhanced Qantas cabin design is in addition to the comfort factors that Boeing built in to the Dreamliner – improved air quality, lower cabin noise and technology to reduce turbulence. Mr Joyce said the direct route is expected to appeal to travellers on the East Coast as well as West Australians, helping to deliver a tourism boost. “A direct flight makes travelling to Australia a much more attractive proposition to millions of people. We expect many travellers from Europe will start their time in Australia with a visit to Perth before going on to see other parts of the country. The new flight will operate through Qantas’ existing domestic terminals (T3/4), which will be upgraded to accommodate international flights. The airline’s current international services from Perth (to Singapore and to Auckland) will also move to this terminal, helping to simplify the journey for thousands of people every year. Qantas will move its operations to an expanded Terminal 1 at Perth Airport by 2025, pending a commercial agreement. “We’ll be looking at the timing of our domestic flights through Perth to offer the best connections we can to our international flights, particularly given they will all be under the one roof,” added Mr Joyce. Seats on the Perth-London flights will go on sale in April 2017 for the first services in March 2018. The Boeing 787-9 Dreamliners used on the route will carry 236 passengers across Business, Premium Economy and Economy cabins. The 14,498km flight will take approximately 17 hours (slightly more or less depending on winds). When it launches, is expected to be the third-longest passenger flight in the world. Longest flight on the Qantas network, followed by our non-stop A380 Sydney-Dallas service (13,730km). Will be the longest Boeing Dreamliner flight in the world. First passenger jet services across the Pacific in 1959 with a B707. First (and only) non-stop passenger flight from London to Sydney in 1989 with a B747-400. First to operate the world’s largest passenger aircraft (A380) on the world’s longest route (Sydney-Dallas) in 2014. Perth was also used as a stopover on flights to London between the 1940s and 1960s. In 2015, Qantas operated a one-off B747-400 charter flight from Perth to Istanbul to take Australians to the Centenary of Anzac at Gallipoli – the last time the national carrier flew from Australia to Europe non-stop.